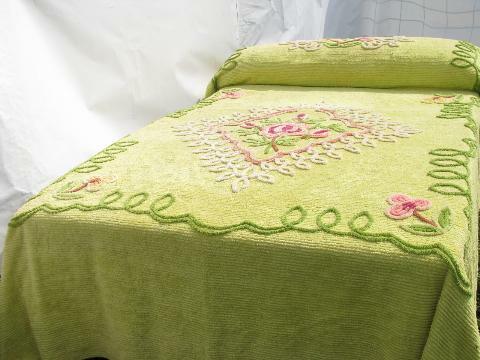 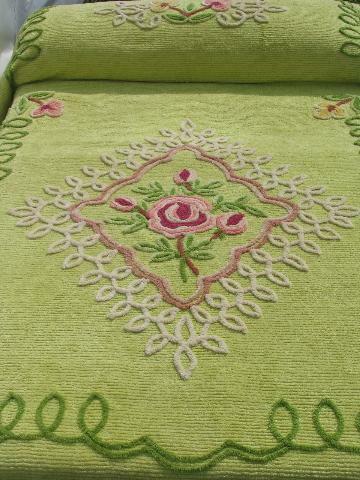 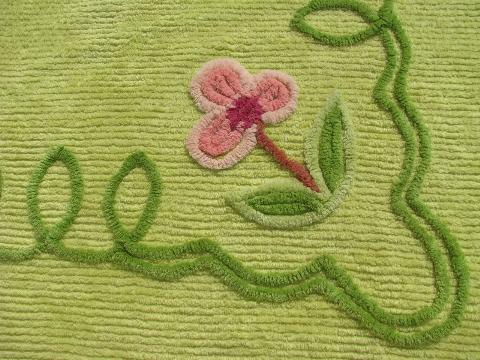 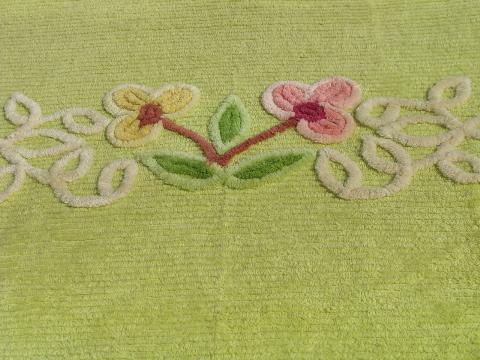 Gorgeous vintage pure cotton chenille bedspread in a lime green color, with thick chenille flowers in pinks and yellows. 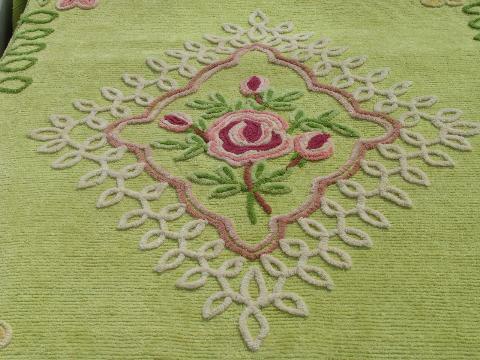 Measures 108" long x 94" wide. 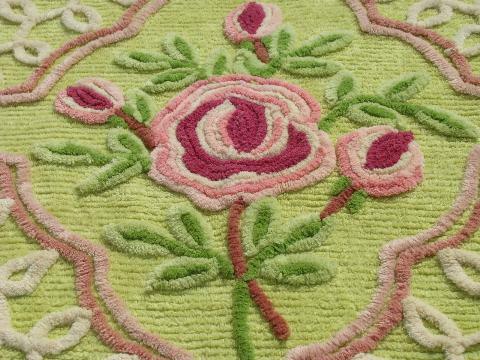 The chenille is soft and thick, no worn or thin spots, and no fading to the beautiful colors. 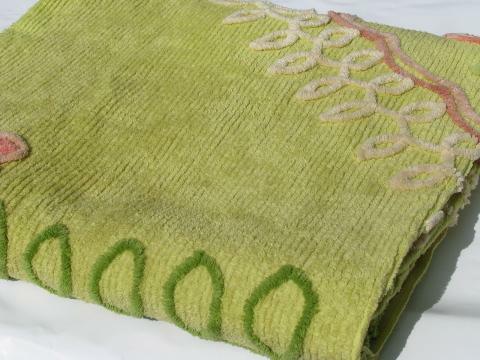 This does have some brown foxing spots in a few areas, which are visible mostly just to the back of the spread, and a few light brown marks near the edges which show faintly on the front.